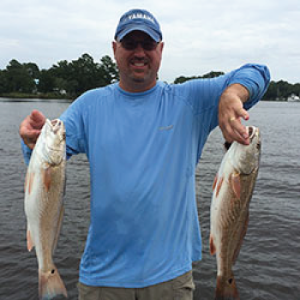 Captain Bobby Brewer is a fishing guide that fishes the Neuse River and Pamlico Sound, around Oriental, New Bern, Weldon, Beaufort, Morehead City and more. He is the owner of Baldheaded Bobby, a backwater and inshore fishing guide based in Oriental NC specializing in speckled trout, redfish, old drum, flounder, stripers, Spanish mackerel, false albacore and cobia. Pre-purchase your tickets and avoid the lines.! Admission is good for all three days with a return pass. Return pass available at show exit.